NEWSNIGHT presenter Kirsty Wark is following in the footsteps of fellow Dumfries talent Calvin Harris by becoming a club DJ. The serious telly host who has grilled many a politician during her career and hosted current affairs weekly Seven Days, is a big music fan and has had a relationship with vinyl for a number of years now. Her biggest DJ gig to date was spinning the discs she alongside Edith Bowman at a BAFTA Scotland party three years ago. Former Radio 1 DJ Edith who now has a show on Virgin said of Kirsty's past performance recently : "Kirsty really got the crowd going. It would be nice to do it again at this year's after party following the ceremony ." Kirsty has now been booked by long running Scots club night Pretty Ugly to DJ at their eleventh birthday celebrations on Saturday November 12 at Glasgow's Admiral Bar. The evening bills itself as the city's longest running alternative club night playing retro electro and poptastic disco on the second Saturday of every month. 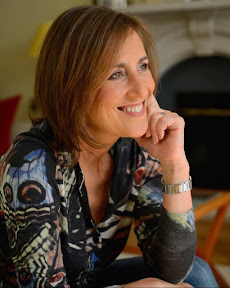 A spokesperson for the club said: "We've reached the ripe old age of eleven and after the political chaos of last year we couldn't think of anyone we'd rather celebrate with more than the BBC Newsnight's voice of reason Kirsty Wark. You may only have seen her on the telly but we've seen her DJing at the BAFTAs so we can tell that you are in for a treat. Expect to hear everything from the Boss to Blondie, Madonna to Taylor Swift, the Yeah Yeah Yeahs to Pixies and Beyoncé to Prince." An insider added: "Kirsty might have a sensible image on TV but she brings her own quirky style to the dance floor and knows how to kick things off with some top tunes. You really will end up looking at her in a different light."